As I mentioned yesterday, this was my last day in Sweden before heading off to work at the University of Warwick in the UK. Since Uppsala is quite small, and I felt like I had explored it sufficiently, I decided to head back in to Stockholm for the day. The nice thing about today’s agenda was that there really wasn’t any. I saw the museums I wanted to in my first visit, so today was just about wandering the streets of Stockholm and seeing where I ended up. So after a casual morning, I hopped the train and in no time at all was back in Stockholm. And today was the most glorious weather I’ve had for the whole Sweden trip. It has been unseasonably cold and grey, but today the sun was out in full force, meaning I could rock the Socceroos colours proudly! It is incredible to jump off the train and in 5 minutes be on the water and wandering cobblestoned streets in Gamla Stan, or the old town of Stockholm. 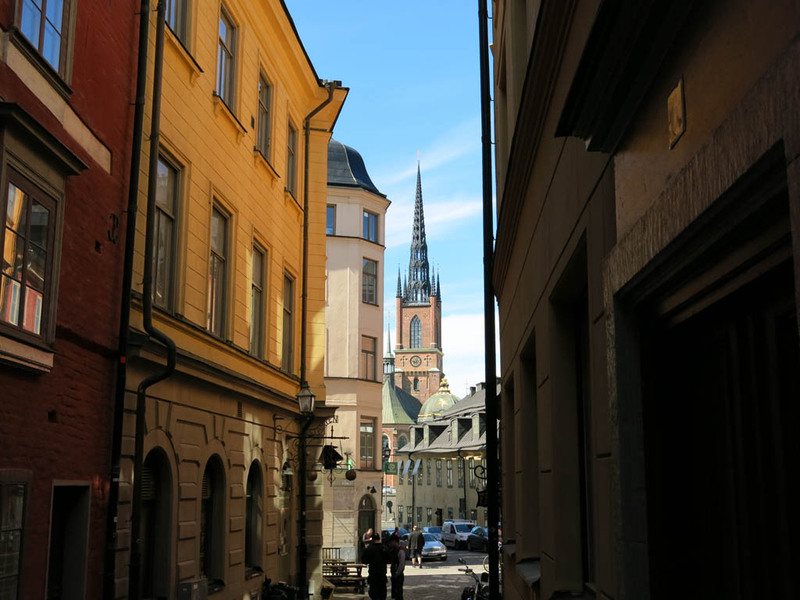 Gamla Stan, which I did visit on my last visit, is nice to just wander the narrow streets. It is delightful to be in a tiny street and look up and see the cathedral or royal palace peeking through. It is those moments that are the beauty of the old town. In many respects, the tourist vibe (and by that I mean not the wandering tourists like me, rather than dozens of borderline tacky souvenir stores) undoes some of the charm, but not quite. So around I wandered. I had been given word of a Tintin store in the old town, but alas found out that it had closed only weeks ago. Boo. I continued to just wander aimlessly, eventually buying some very cool yet strange black crystal tumblers made by a local artist for my “Swedish” souvenir. They will look good amongst the other trinkets that have made their way to our house from our many trips abroad. Eventually I poked out the other end of Gamla Stan and headed across the bridge toward Sodermalm. I then remembered there was a gallery I was keen to visit, so off it was to Fotografiska, the Stockholm photographic museum. Unlike most other galleries, it doesn’t have a permanent collection, rather has rotating exhibits by local and well renowned international artists. I was super fortunate to arrive to an exhibition by the amazing photographer Sebastião Salgado. If you have not seen his work, Google him straight away, in particular the “Genesis” exhibit, which is what I saw. It was jawdropping and huge. He spent many years visiting places that have thus far avoided civilisation, and his images of animals and people are incredible. The Antarctic images in particular took my breath away. Even the views from the cafe in the gallery were spectacular. It just reinforced what a gorgeous city Stockholm really is. After spending a considerable time in the gallery, I then decided to grab some more herring from Nystekt Stromming. Mmmm. Still delicious. Thumbs up! Otherwise, it was just back to wandering. I cruised along the water mostly, soaking up the glorious day. All the views along the stroll were great and I happily wandered for quite a while, before deciding it was time to head back. 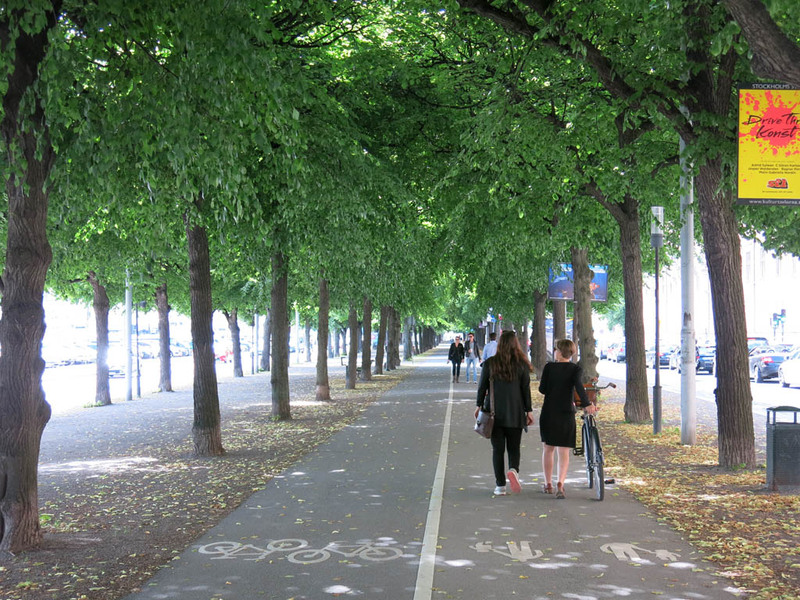 Even the tree lined walkways were glorious to stroll along. The first I had no idea who it was but worked out they were a local Swedish band. As it turns out they are 3 brothers who are Eurovision winners from the early 80’s! I can’t believe I didn’t realise. Alas I didn’t end up buying it. The second was one that was flying the Aussie flag. 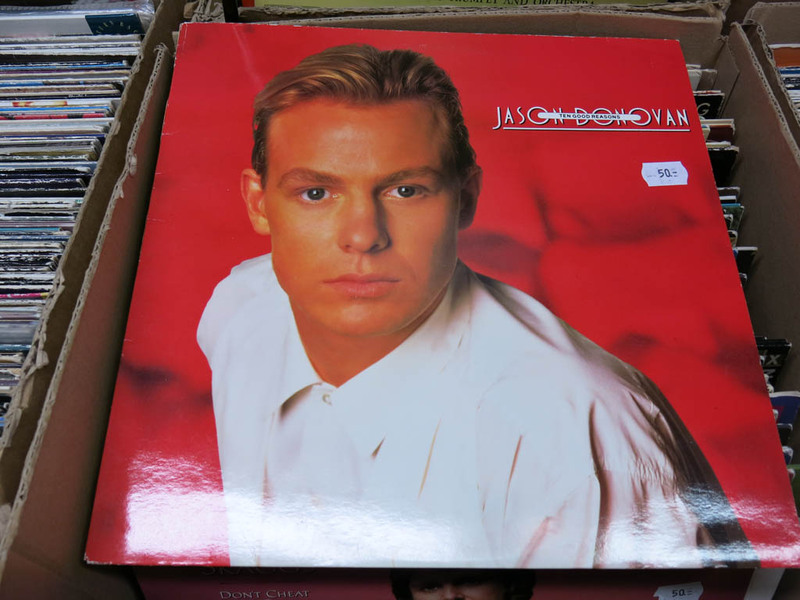 Good to see Jason Donovan is in bargain bins all over the world. 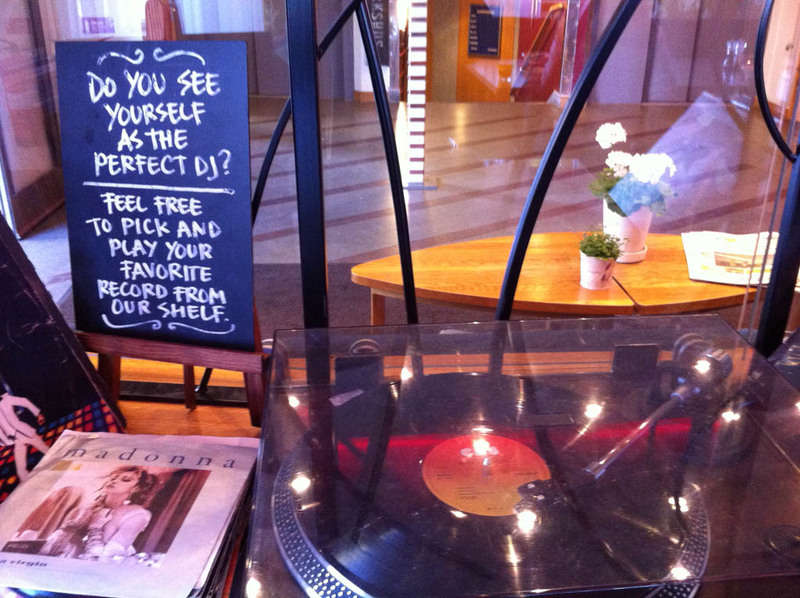 rekorderlig… yay! only 2%… boo! And with that, it was back on a train to Uppsala. On my way back to the hotel, I popped in to the local supermarket and picked up some drinks for my World Cup watching. Rekorderlig! Score! Alas, due to the odd Swedish liquor laws, the cider was only in the order of 2% alcohol. It was super cheap for 4 cans though (about $3.50 for the 4 cans) so who am I to complain? All that’s left is to post this blog and then pack for my trip to England! Thanks Sweden… you were gorgeous. Hi everyone! Just a quick update after my relaxed, but still productive day today. Not too much to report, but will fill you in. This afternoon was the formal kick off for my conference, but that meant I had the morning and early afternoon to spend as I wished. 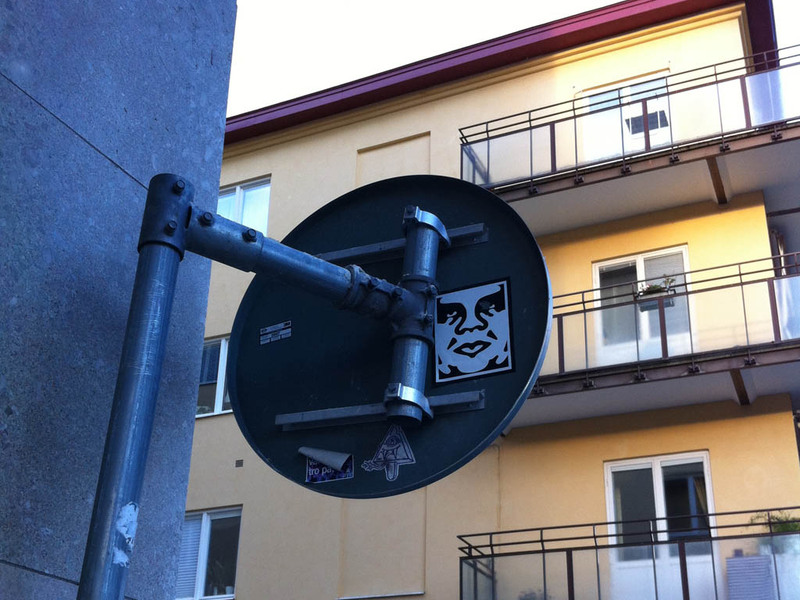 So what I got up to was filling some gaps here in Uppsala. As per my post from a couple of days ago, my first day exploring Uppsala was thwarted mostly by the midsommar holiday. But today many things were open for me to check out. I had a couple of things on my radar. 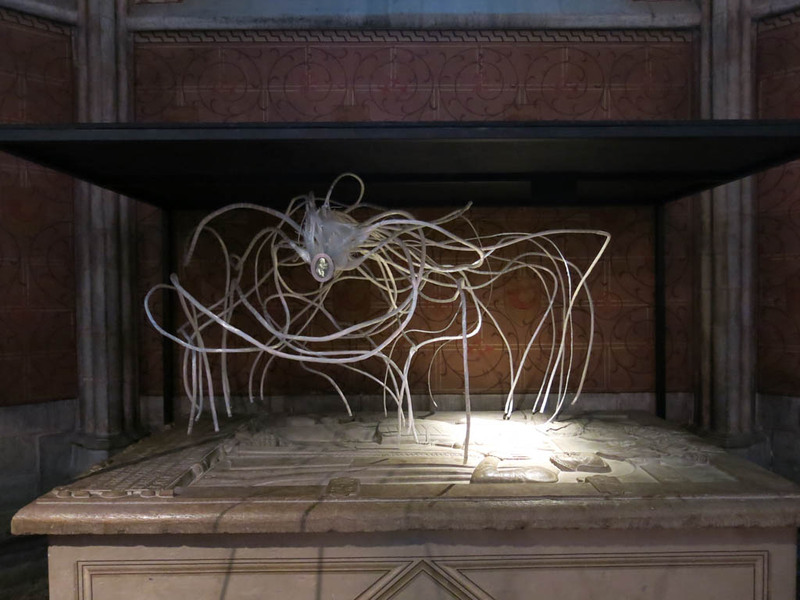 First was a visit to Uppsala Cathedral. The biggest in Sweden (and possibly Scandinavia) it was quite impressive from the outside but even more so on the inside. Filled with artwork, tombs, stained glass, etc, it was quite the spectacle. What threw me a little was their use of neon in such as traditional and historic cathedral. It was like I was in Central America again! I also bumped into what I can only guess was a prop from The Matrix or Edge of Tomorrow. Weird huh? 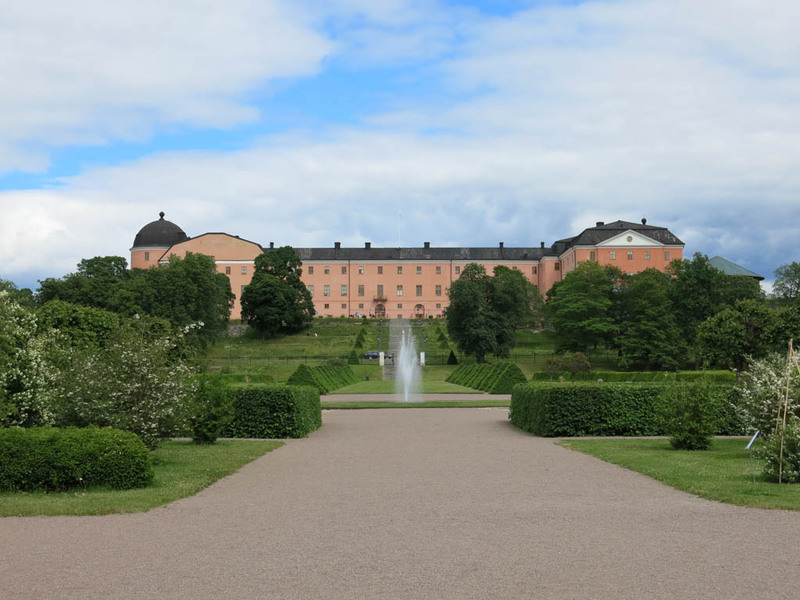 After that, I revisited Uppsala Castle. Given it had been rebuilt just last century, I wasn’t that interested in checking out inside. Instead I visited the museum and gallery housed in one wing. 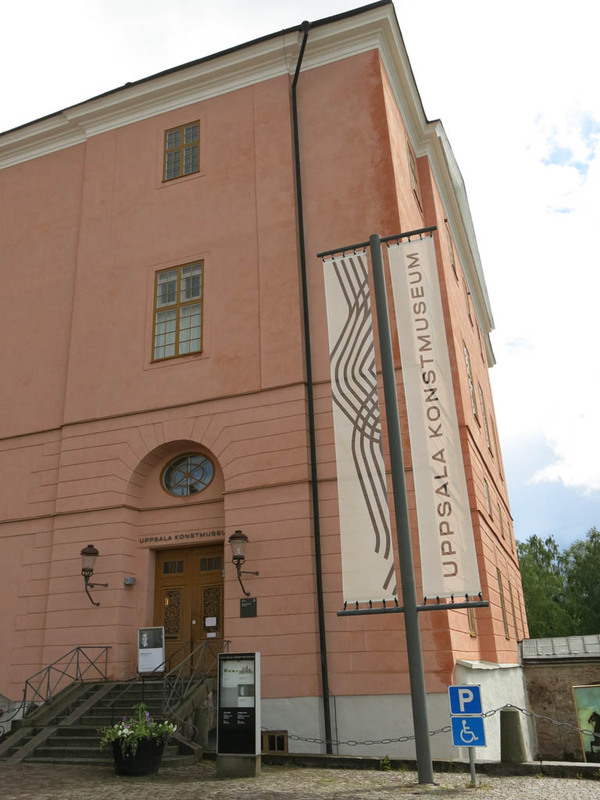 It contained part of the collection of Uppsala University, and while small, it was worth the few krona for the visit. There was a healthy collection of art work centuries old, as well as some modern work. 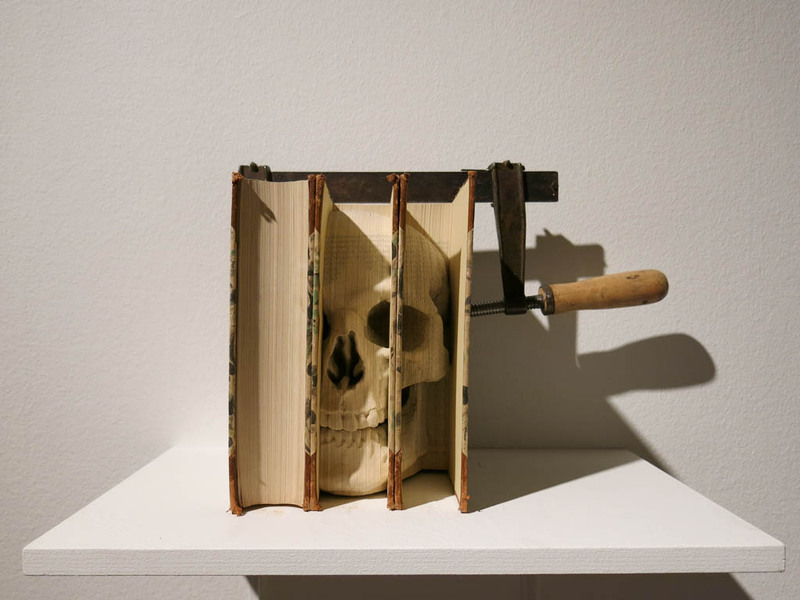 This skull made of book pages I found just pretty awesome. And that was it for the day really. I then got to catch up with my colleague Michael for a beer and then wander to the opening of the conference. The next few days are all conference, so probably little update from me. Will be back when I can report on more Swedish adventure. 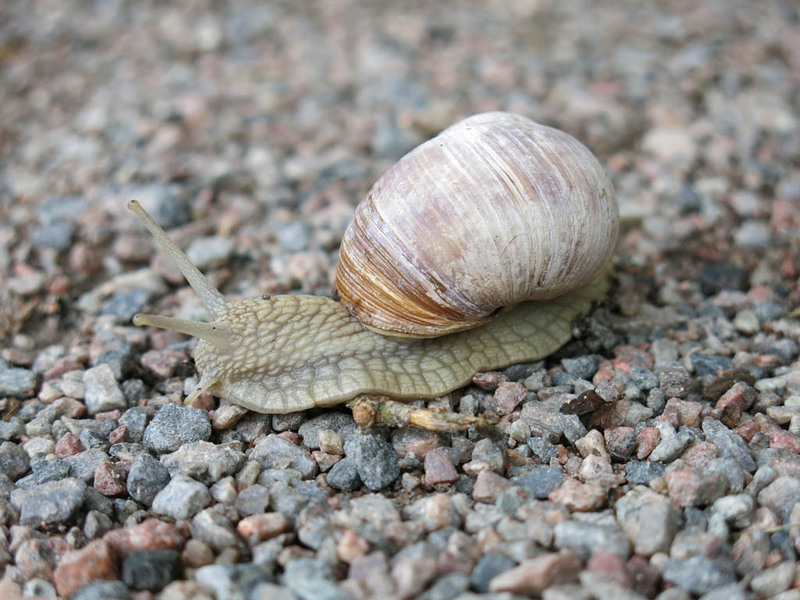 Oh, and here is a Swedish snail to say goodbye! I have been fortunate to visit almost all the big Scandinavian countries to this point (Finland will complete the set in a couple of months), and I must admit, that while I have loved my visits to Norway, Denmark and Iceland, I found their capitals a little underwhelming. Copenhagen I didn’t mind, but don’t reflect back on with any strong feelings. Oslo I just didn’t really care fore. And Reykjavik I liked but is just a big country town. But this changed today. As hinted at in my last post, today I decided to jump on a train and head into Stockholm to explore the Swedish capital. A good 8 hours sleep had me fairly refreshed, and raring to go pretty early, so by about 9am I was in the centre of the city. With almost 100 major museums and lots of islands to explore, I had a bit of a plan based on some reading and advice, so started to wander in the direction of my first museum. What grabbed me was just how amazingly gorgeous the city is. The combination of a bright blue sky and the old buildings and waterways made for a postcard at every turn. The casual wander from island to island was the perfect way to start my trip in earnest. My first stop was the museum that has fast become the most popular in the city, the Vasa Museum. This is a museum dedicated to housing the spectacularly well preserved remains of the infamous warship of the 1600’s. The story of the ship is almost too crazy to believe… built by the royalty of the time to be an epic warship, it sunk only 1km into its maiden voyage, right in Stockholm harbour. Attempts at the time could not revive it, and there it sat until only 50 years ago, when it was found and retrieved after a process spanning months. What is incredible is how well preserved it is. Apparently 98% of what you see is original, meaning I was staring at a 400 year old wooden ship that had been submerged for most of its life. That boggled the mind, and meant that exploring the whole museum was a joy. The exhibits were great but it was seeing the boat from all angles and heights that took the breath away. As did the also well preserved skeletons of some not so fortunate crew and some quite scary decorative pieces. What was possibly the most odd thing was finding this picture of Arnie in one of the exhibits, and I swear I could not work out why it was there. Must be some local practical joke. Almost 3 hours slipped away with ease, and with that I decided to wander some more, this time to the island of Gamla Stan, or the old part of town. 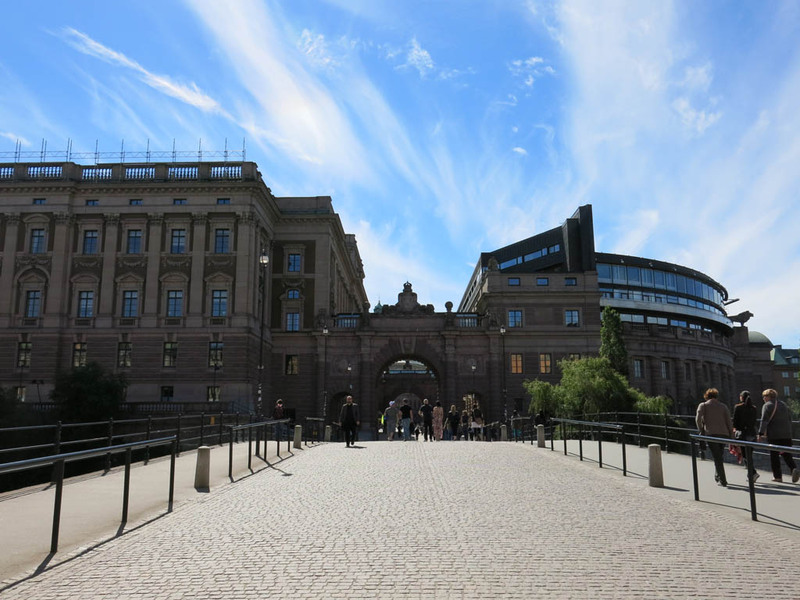 The most famous of the dozen or so islands that make up the city, this is home to the quintessential old Scandinavian buildings, as well as the Royal Palace. Not one for royalty, I still took a little bit of time to wander in to the public areas for a look. Along with your typical royal guards was a quite odd gift shop with dozens of family portrait postcards. I controlled myself from buying many postcards of awkward poses of the royal family, but will be sure to regret not sending a bunch home for unsuspecting friends. 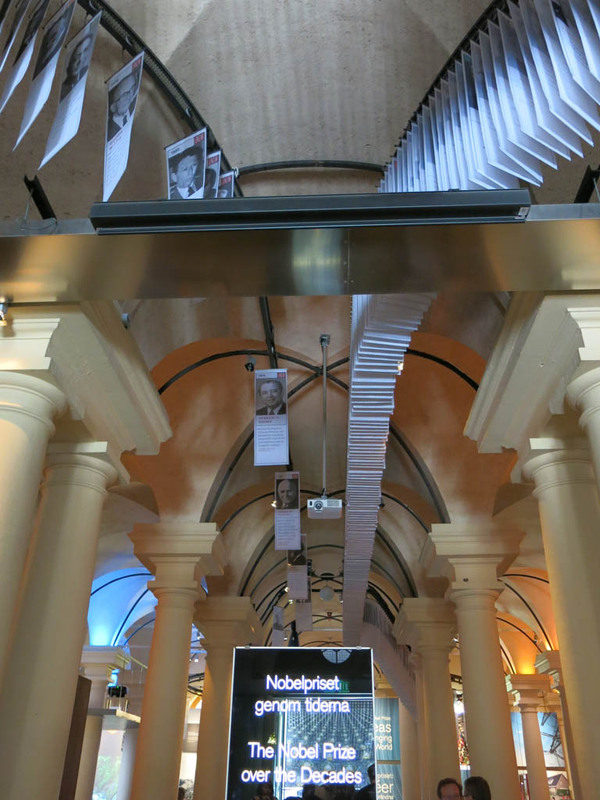 In the heart of Gamla Stan was my next destination, the Nobel Museum. 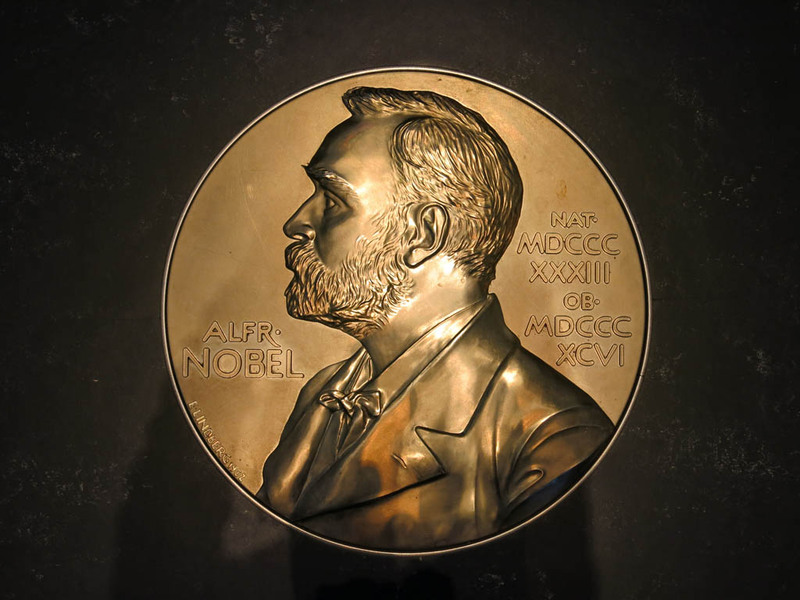 A quite small (and relatively new) museum, this houses mostly interactive displays on the long and esteemed history of the Nobel Prize and its winners. While small, it was well worth the visit to find out a lot more about how it all works and to even set eyes on one of the famous medals. Alas, they didn’t have the 8 million Swedish Krona there that each winner gets. What I did like was that whizzing overhead were banners for each of the over 800 winners so far. As the guide said, don’t wait for your favourite as it takes about 6 hours for them all to make the rounds. I guess the Dalai Lama will just have to miss out then. With that, I kept wandering the old town. It was what is common in a lot of historical cities… clearly a lot of history in the small streets, but now taken over my tacky tourist shops which was a shame. And Thai Massage… as every major city needs Thai Massage I guess. My eyes were firmly on my next prize, one that when I explain it, you will all be like “of course he went there”. 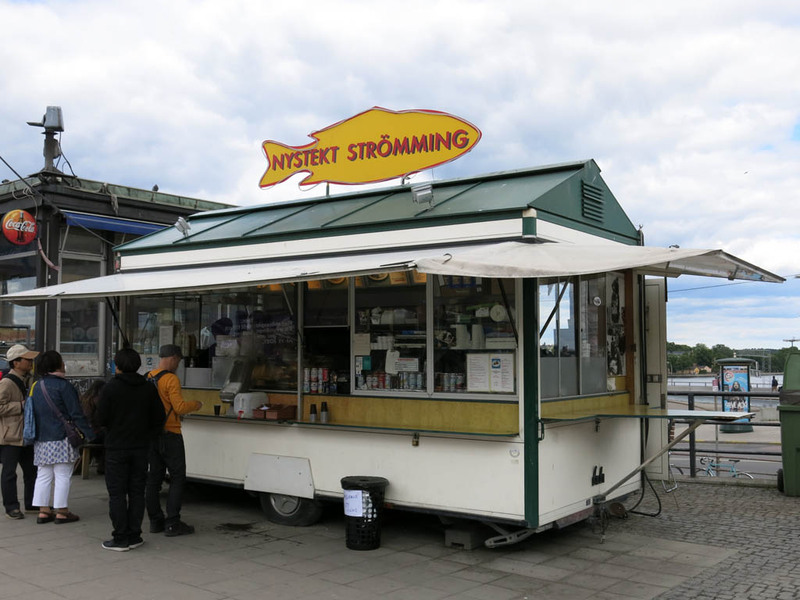 In reading about Stockholm and the food, I kept seeing mention of their most famous food truck, Nystekt Stromming. 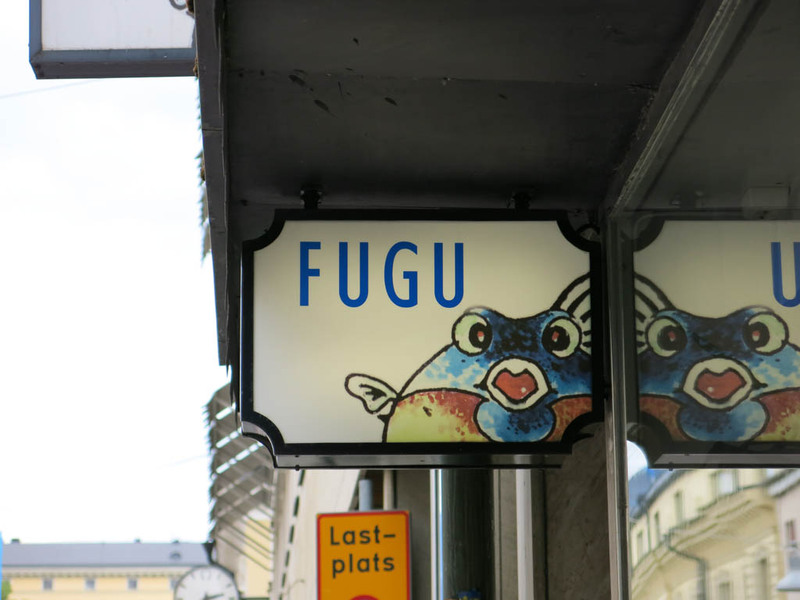 It seemed it was a firm rival in fame to the Reykjavik hot dogs, so of course I had to visit! But unlike Reykjavik, and every other food van I saw in Stockholm, this was not about hot dogs. Nope, this was about the herring. Now herring is not something that usually endears me, but I am more familiar with the pickled variety, whereas this was of the pan fried type. 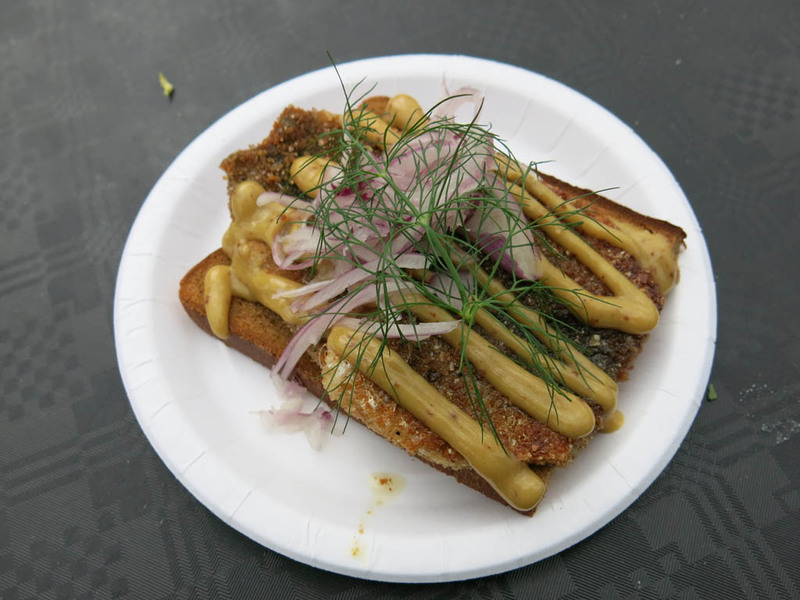 Their most famous dish was the “skanning”… fried herring with mustard, red onion and dill, on dark rye bread. So one skanning please! And it was delicious! I gotta say, I super enjoyed that one, so was very happy with my visit to Nystekt Stromming. Definitely a food truck with pedigree! 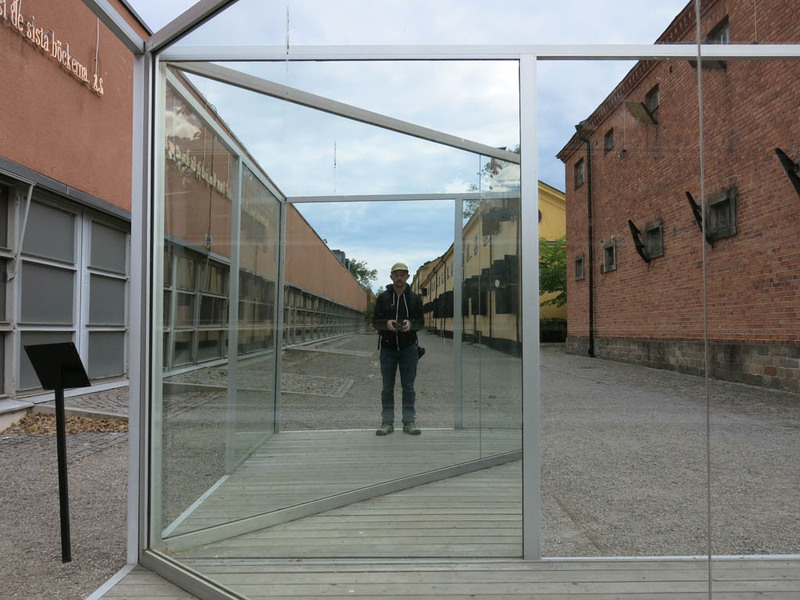 With my belly full, it was off to my next island and museum, this time the Moderna Museet, i.e. the Museum of Modern Art. This was home to a great collection of primarily Scandinavian and European modern art, although it also had some of the other big names (Dali, Bacon, Piccasso, etc). While not huge, it was worth the visit, especially for the chance to become a bit more acquainted with Scandinavian modern art. The surrounding grounds housed a number of installations, this one which was quite confusing. But worth a photo op. With that, it was some more casual wandering. It seemed things closed up at about 5pm, as when I wandered through the main shopping area, it was seeming quite quiet. Not sure if it was usual or because of yesterday’s holiday, but the vibe in the city seemed to disappear a little late in the afternoon. Even H&M was closed! Very odd to see that store with no line in front (ha, bit of a Melbourne joke there). Oh… and a word of note. Posts will be pretty erratic from here on in for a little while. Conference starts tomorrow afternoon, so I won’t be posting every day. I will tend to only post when I get up to shenanigans! There may be some more Sweden stories before I leave in about 5 days. But easiest thing to do is to subscribe to get the news when it comes out (shameless plug)! Hei everyone! Muttler is back with a brand new site and a brand new adventure! This is a bit of a different one for me than usual, as I am away for MUCH longer (over 3 months!) and it is more work than pleasure. But surely working in Sweden, England, and Finland is partly pleasure amirite? Plus there will be time for shenanigans with my lovely lady in England, Scotland and Turkey, so this will be a fun one. The first proper post on the new muttler.net comes to you from midsommar celebrations in Uppsala, Sweden, where I just arrived about 10 hours ago. A long, but fairly uneventful, series of flights (HK to Helsinki to Sweden plus train) has me in Uppsala to visit the ITiCSE conference to start my research and holiday adventure. I have the first couple of days to get over jetlag and explore before the conference starts in earnest on Sunday afternoon. But I sure have arrived to an odd one. Uppsala is a thriving university town, but you see, it is Midsommar, or the Summer Solstice, and it is a big deal here in Sweden, so much so that I hear it is pretty much THE main holiday. What it has also meant that Uppsala is dead quiet today (although this is certain to change tonight), as very little is open, including all the things for a tourist to do! But that is OK, as today I am in a bit of a zombie-like jetlagged state, so surviving as much of the day as possible means just wandering, which is what I did. All roads lead to the river and the old town, which is where I wandered. It has a nice mix of European city does Uppsala. Everyone riding bikes, an old town, beautiful gardens, big cathedral, you name it. First stop was the cathedral, which alas, was not open. The cathedral is impressive as far as Scandinavian ones go, but lacks a little when compared to many others around Europe. But it will still be worth a visit when it reopens in a day or two. It was then just wandering the quiet streets, visiting the (also closed) city castle and its gardens perched high up above the city. This allowed nice cheesy self portraits with dramatic cathedrals in the background. From there it was a wander into the gardens of one of Uppsala University’s several locales. 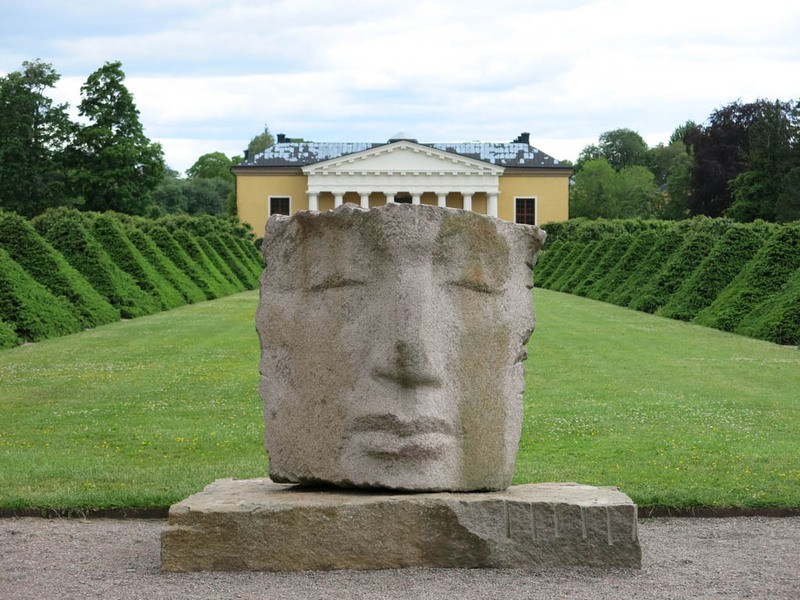 I was quite enamoured with this big head that just sat there looking moody in front of the beautifully manicured gardens. Operating on only a few hours sleep in a sleepy town meant that a casual wander back (stopping by Simpsons themed restaurants… or so I would like to believe) for a bit of a catchup with one of my work colleagues, before retiring to watch World Cup from the comfort of my hotel room, was the order for the rest of the day. While Uppsala gears up to celebrate the summer solstice, I am electing to find solace in my pillow and a good nights sleep. Stockholm tomorrow if all goes to plan!